If you listen to the Internet—and I don’t recommend you listen too closely, as it will drive you mad as surely as if you were privy to the whispers of the vast underdeeps—then you’d have good reason to think that Apple was going to unleash the rest of their vast iTunes catalog in a DRM-free format on Tuesday. Pretty much all of those stories link back to a single source, French tech site ElectronLibre, which wrote last week that on the auspicious date of December 9th, Apple would add DRM-free music from the other three major labels—Universal, Sony, and Warner Music—to its existing offerings from EMI and independent labels. Needless to say, as of Tuesday afternoon Cupertino time, the grand ascension to a DRM-free heaven hadn't happened. The timing was weird, anyway: December’s a pretty quiet month for news usually, and we’re less than a month from Macworld Expo. There is the imminent holiday shopping season, but DRM-free music is really only likely to make kiddie-pool-sized waves in the sea of Apple's holiday sales. 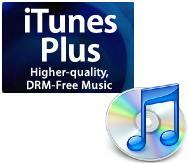 I have no doubt that DRM-free tracks are being discussed in some form in the hallowed halls frequented by Apple and the record labels, but don’t be surprised if it doesn’t happen anytime soon. Why not? The reason is simple: there is no reason. If that sounds like a spurious Zen koan, just look at the evidence. Apple is still the leading music retailer in the U.S., beating out even the brick-and-mortar chains. In the digital download market, its lead is even bigger. And the growth doesn’t appear to be slowing, much less shrinking. Much as a vocal minority of consumers hate DRM and refuse to buy songs laden with it, they’re still a minority: your average consumer doesn’t know DRM from ERA. It’s a different story for all those other digital music stores: Amazon, Napster, Rhapsody, and Wal-mart all need to be selling DRM-free tracks as the price of admission. Without DRM-free tracks, anything you buy at those stores couldn't be played on an iPod, and without iPod support, those stores would just become yet another set of bygone civilizations now residing on the bottom of the ocean. On the one hand, the seafood’s great; on the other, they don’t exactly do a raging tourist business. The record companies know that and it’s in their interest to keep those competitors around and at least marginally healthy, if only to keep Apple on its toes. But it’s a win-win for the labels right now: they sell tracks by the commercial freighter-load via iTunes, and those folks who will under no circumstances pay for DRM-encoded music will either buy CDs or go to one of iTunes’s competitors. Either way, the labels get paid. They’ve got no incentive to hand over the keys to the kingdom. The problem is that the iTunes Store is just too successful—and why mess with success? That leaves the issue of principle. Last year, Steve Jobs came out and said that Apple would be happy to drop DRM altogether. I think that’s true: Apple has a loyal enough base that people would continue to buy music from the iTunes Store, and in fact it might even help sales. It would certainly be good PR for the company, if nothing else. But don’t think for a minute that Steve Jobs is losing any sleep over it. On his To-Do list, it’s clearly under the “would be nice” category—right next to “make Greenpeace happy” and "turn Apple TV hobby into successful business model." The only way Steve Jobs is going to convince the labels to drop DRM is by showing them that they’re losing ground to piracy. At the moment, though, the iTunes Store is doing a blockbuster job of competing with file-sharing. Even that’s going to be a hard sell for the old guard of record labels—remember, this is an industry that came up with the marvelous business strategy of suing their customers. They’re going to find the argument of going DRM-free to combat piracy counter-intuitive at best. Nothing would make me happier than to see iTunes throw off the shackles of Digital Rights Management, as I’ve written on a few occasions over the years. And while I think that the principle of dropping DRM appeals to Jobs, the Apple CEO has an overriding principle: do what’s good for Apple when it’s good for Apple. That time may be coming, but it isn’t yet.